Don’t be a business networking SPAMMER! 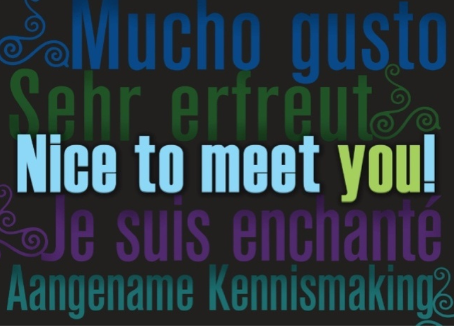 Do you attend lots of business networking meetings and collect numerous business cards from people you meet there? Never make contact with them? What one of the three scenarios above do you think is the worst thing that you could possibly do? You might be surprised to find out that, although a complete waste of time taking the business card in the first place if you never find the time to make contact, it is not No. 3 but actually No. 2! 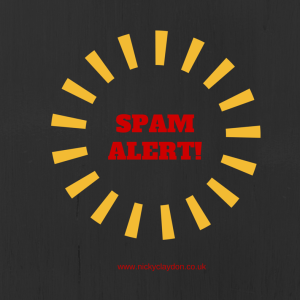 By adding your new business contact to your e-mail newsletter database, WITHOUT PRIOR PERMISSION, this is known as SPAM. Irrelevant or unsolicited messages (i.e. e-mail the recipient did not explicitly or implicitly agree to receive) sent via the internet, often to large numbers of users, for the purposes of advertising, phishing for personal information, spreading viruses, etc. Even if you put a footnote at the bottom of your e-mail which reads something like “I am sending you this e-mail because we have previously met at a networking meeting and/or you are one of my valued customers, etc.”, this is still classed as SPAM as your business contact has not willingly OPTED-IN to your e-mail list. Do you think that your new business contact will be really pleased to receive your newsletter when you have (a) not asked their permission to add them to your list, or (b) not even bothered to try to make a connection with them and build some sort of business relationship with them personally since your initial meeting? What sort of impression of you does this give out? If you add contacts to your list without permission you may run the risk of being reported to your e-mail provider or The ICO. The ICO (Information Commissioner’s Office) is an independent body set-up to promote access to official information and to protect personal information. The consequence of SPAM reports against you, not only damage your reputation, can result in your e-mail account being suspended. What do you think would be a better method of operation to get people to opt in to your list? If you don’t have an e-mail responder (which will automatically have a confirmed opt-in or double opt in set-up) and/or you want to make people aware of your list, who might not necessarily visit your website and see the opt-in there, it is quite easy to seek their permission. All you need to do is send them a simple e-mail informing them that you like to keep your contacts up-to-date with weekly/monthly tips and hints to help their business and would they like to subscribe to your newsletter providing them with the link to do so. If sending any type of multiple subscriber e-mail/newsletter you must be aware that it is a legal requirement that you always give people the option to unsubscribe from your list. Have you been guilty in the past of adding people to your list without their express permission? Many people do this without even realising the damage that they are doing to their business. If this is you stop this straight away as you could really damage your personal and business’ reputation. Have you had this happen to you in the past? What was your impression of the person who sent you this type of unsolicited message? Did it put you off doing business with them or did you immediately unsubscribe from their list, if there was the facility to do so? Would be really interested to hear your comments on this matter.